The ICANN-process for the introduction of New Top Level Domains is continuing. The registry of the Lol-domains has set the 1. June 2015 as the beginning of the sunrise period. You can pre-register here your name at the Lol-domain. The pre-registration is free, but compulsory. If we successfully register your domain, you will have to pay the domain fee of 60 US-Dollars. 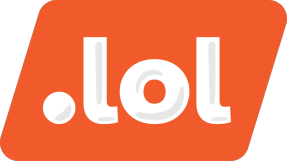 The Lol-domains cost 60 US-Dollars/domain and year during Sunrise, Landrush and General Availability Period. You have to pay additionally 300 US-Dollars Sunrise Application Fee per Domain at the Sunrise Period. Lol means "laughing out loud" or "laugh out loud". Lol is one of the most used expressions of Internet slang. Beyond this meaning, there are others options . We provide a couple hundreds new top level domains for pre-registration. You can choose which domains you would like using our lists. Lol on the Link to go to the order page of the most important New Top Level domains or search at the alphabetical list of the New Top Level Domains. You can also use our search engine to browse. By Loling at the button, you confirm a free, but binding pre-registration of (a) New Top Level Domain (s), which will cost at succesful registration 60 US-Dollars/domain and year and that you have read and accepted Trade Conditions, Registrants Rights and Responsibilities, the Uniform Domain Name Dispute Resolution Policy and the policies of the registry.